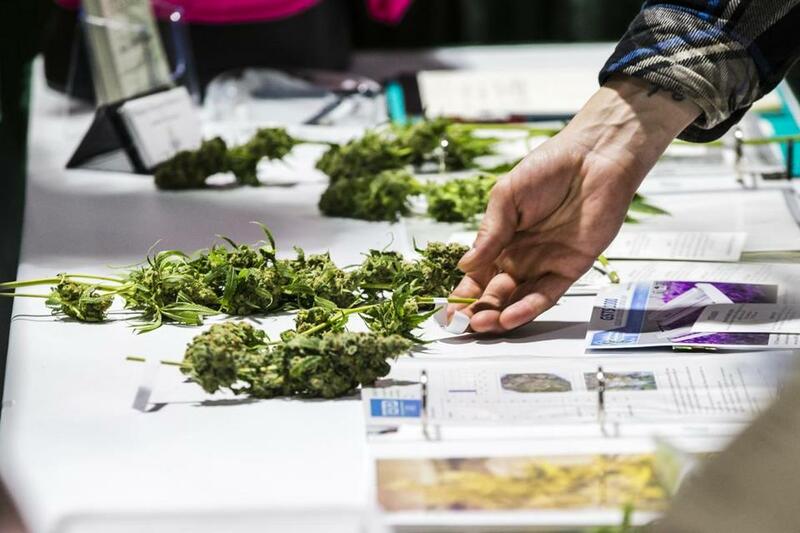 A visitor picked up marijuana samples on display during the 4th Annual New England Cannabis Convention in Boston. Attorney General Maura Healey is giving cities and towns more power to slow down the recreational marijuana industry, ruling that local officials can unilaterally prohibit cannabis companies for another year without polling residents. Now Healey believes municipalities deserve additional time to set up marijuana zoning rules. Quackenbush did not respond to questions about which commission activities necessitated the longer freezes; the agency issued its final regulations on March 15. Genetically engineered plants are more potent, and more users are using the drug several times a day. 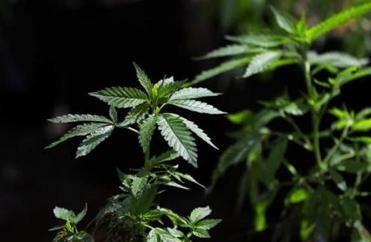 Marijuana advocates and businesses denounced the move. Under state law, communities that haven’t formally banned marijuana establishments altogether cannot impose other “unreasonably impracticable” restrictions — rules that would effectively discourage a prudent marijuana businessperson from setting up shop there. Healey’s office reviews local temporary moratoriums passed by towns and decides whether they’re genuine planning periods or unreasonably long delays that amount to de facto bans. State law lays out a specific procedure cities and towns can use to ban marijuana companies indefinitely. In municipalities where residents voted “yes” on Question 4, the 2016 ballot referendum legalizing marijuana, bans must be approved in a communitywide vote. In municipalities where most voters said “no” to legalization, legislative bodies such as city councils or town meeting may implement bans without a referendum. More than 200 of the state’s 351 municipalities currently have bans or temporary moratoriums in place. The Massachusetts Municipal Association defended Healey’s decision as “entirely reasonable and necessary,” saying that many communities don’t have town meetings scheduled for another year and that holding special town meetings to set marijuana zoning would be too expensive. Cities and towns already enjoy extensive powers over marijuana companies. In addition to enacting zoning rules and buffer zones that together sharply limit the areas where marijuana businesses can locate, municipalities can impose a 3 percent local tax on retail pot sales. Officials can further take up to 3 percent of a company’s revenue under the so-called host community agreement each operator must sign before getting a state license. By law, those payments must be “reasonably related” to the actual costs imposed by a marijuana operation, though operators say municipalities frequently ask for larger amounts than costs would suggest. Some attorneys criticized Healey’s office for not providing a legal analysis to back the new decision. Referring to her office’s statement citing “ongoing regulatory activity” at the cannabis commission, they noted that most state agencies are continually adjusting their regulations. Healey, who spoke out against the marijuana legalization movement in 2016, has previously drawn grumbling from marijuana proponents over her decision to let communities draw buffer zones not just around public schools, as explicitly allowed under state law, but also around day-care centers, parks, and other facilities. Top officials at the cannabis commission itself questioned Healey’s decision. Asked in March about the possibility of moratoriums extending into 2019, commission chairman Steve Hoffman stressed the decision was Healey’s to make but said he doubted municipalities really needed so long to prepare for the arrival of recreational marijuana. Correction: An earlier version of this story erroneously referred to municipal boards of selectmen as legislative bodies; they are typically executive bodies.